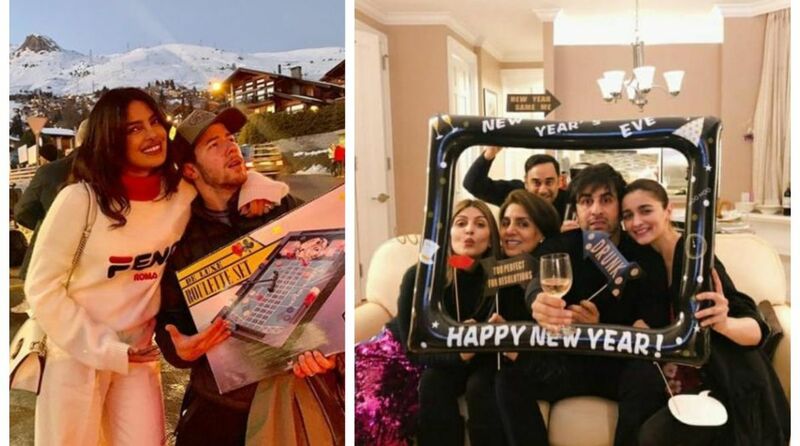 From Ranbir Kapoor to Akshay Kumar, here’s how the celebrities welcomed the new year. With lavish weddings and an exciting year for the Bollywood, celebrities bid goodbye to 2018 and welcomed 2019 with family and close friends. Most of the celebrities have stepped out to their favourite locations to ring in the New Year. The Pataudi family—Saif Ali Khan and Kareena Kapoor Khan with their baby Taimur Ali Khan are in Switzerland for the celebrations. And their pictures of the winter snowy weather are making headlines. The Kapoor family— Rishi Kapoor, Neetu Singh, Ranbir Kapoor with Alia Bhatt, Riddhima Kapoor Sahni, with husband Bharat and daughter Samara are in New York for the New Year celebrations. The couple Twinkle and Akshay is in Thailand to ring in the New Year. Twinkle Khanna shared a straight-out-of-my-bed picture while Akshay being a fitness freak, shared a workout video. Sonam Kapoor shared a candid picture with hubby Anand Ahuja and she wrote how 2018 has been immensely special for her and her family. The couple is currently in Bali with sister Rhea Kapoor and close friends. Aamir shared his New Year Resolutions, vowed to get back in shape and learn from the mistakes he made in 2018. Diva Katrina Kaif is in London to celebrate the New Year with her family and shared a picture saying goodbye to 2018. Sanjay Kapoor hosted a intimate New Year party, and Arjun Kapoor was seen with rumoured ladylove Malaika Arora. Also seen in the picture was Karan Johar chilling with the family members.